As we get ready to celebrate Thanksgiving here in the US, I wanted to let YOU know how grateful I am for YOU and all of my subscribers, clients, students, customers and partners. Without you I wouldn’t be able to do the work I love to do. So thank you. I appreciate you! Do you have a daily gratitude practice? I’m curious to hear about it and what kind of impact you feel it has. Please post a comment below and let me know. 1. Gratitude Journal – Every day write down 5 things you are grateful for. HINT: Pick a specific time of day and develop a routine, such as the last thing you do before leaving your office, at night before bed, etc. 2. Go Digital – Get a gratitude app that sends a daily reminder that asks, “What are you grateful for?” and allows you to type in your gratitudes. 3. Bedtime Ritual – Count gratitudes instead of sheep! 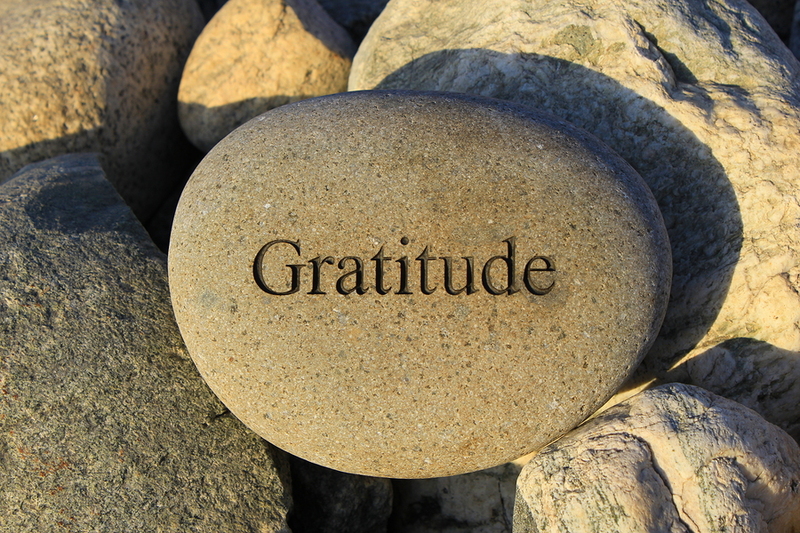 When you close your eyes to go to sleep, think about 5 things you are grateful for. Keep thinking of 5 new things until you fall asleep. So my friend, I encourage you to join me this Thanksgiving to reconnect with the power of gratitude and commit to a Daily Gratitude Practice. Post a comment below to let me know if you’re in and what you are or will be doing for your Daily Gratitude Practice.